The House of Queens: Hair! 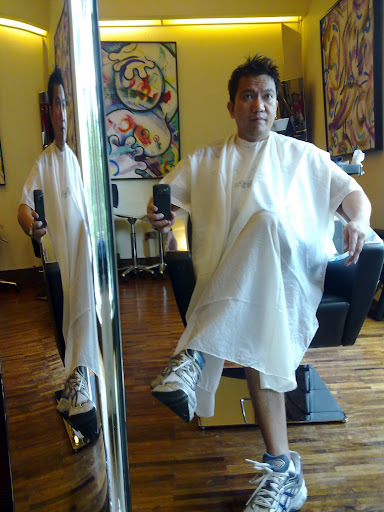 I go to a salon for my haircut. I used to go to barber shops but that was when I used to have a shaved head and I can just tell the barber to use clipper number three or four. However – when I go to a salon – the haircut that I get gives me a little bit more option on how I would like to style it. Do I want a mohawk? Or do I want to have the out of bed look? Or maybe I can be styling product free for the day. The difference is very subtle but they’re still options. I don’t stick with any stylist. I just go to the salon which is most convenient to go to. Sometimes I get a good haircut – sometimes – I get a horrible one. But after four weeks – that can always get corrected.